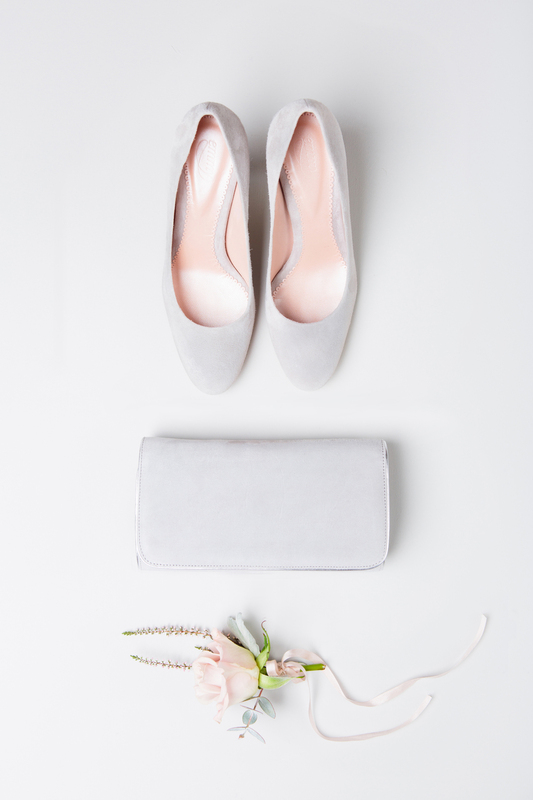 We were thrilled to be asked to shoot Emmy London's new bridal and occasionwear shoe and accessory collection. Emmy is an extremely talented shoe designer and it was really exciting to work with her to develop the concept for a new press ad featuring some of her most beautiful shoes. A lot of vintage books were sourced and individually covered in the buttery soft suedes and leathers that Emmy uses to make her shoes. 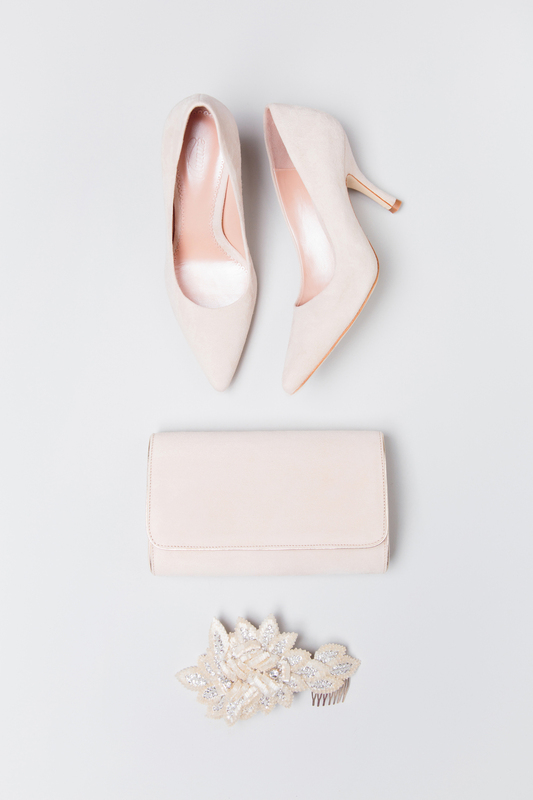 The palette was subtle blush pinks, nudes, greys and a touch of aged gold. The contrast came from a delightful pale blue. One key element of the main shot was to incorporate Emmy's sketch book of shoe designs. Each sketch features the intricate details and adornments that makes each pair of shoes so unique. Thanks to Kate Cullen for the loan of the hand dyed silk ribbons.